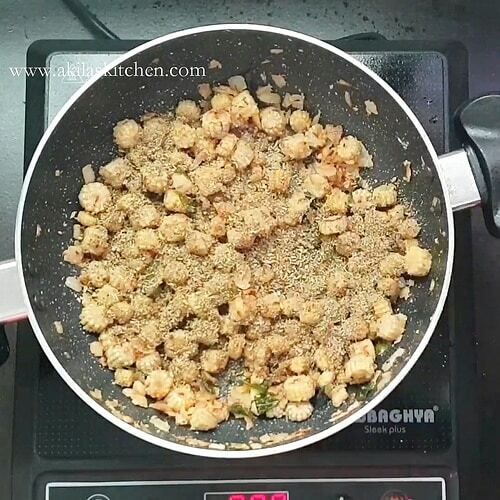 Baby corn Pepper fry recipe with step-by-step instructions and a video for your understanding. As my kids started liking baby corns I started preparing baby corn recipes more often. 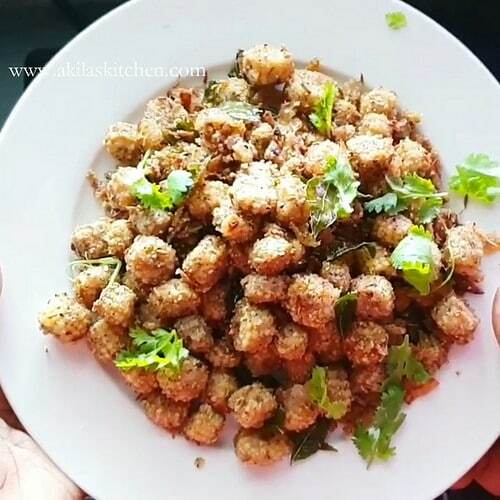 This baby corn pepper fry is one such recipe which my kids like it very much. Though the recipe is a little bit spicier than the other baby corn recipes, the peppery flavor of the baby corn makes this recipe more tastier. 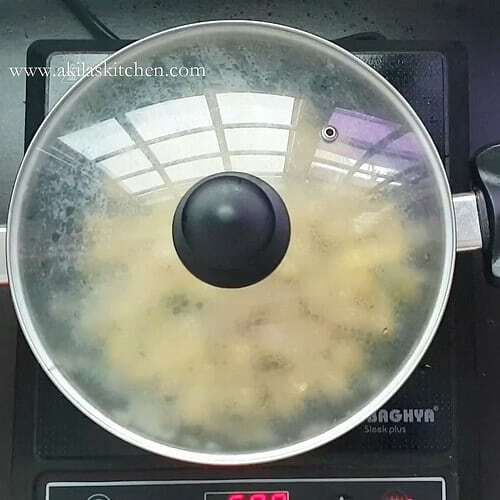 Since we add the rice flour (or the corn flour) to the recipe, it makes the baby corn more crunchier and Crispier which also makes this recipe to give a great outcome. 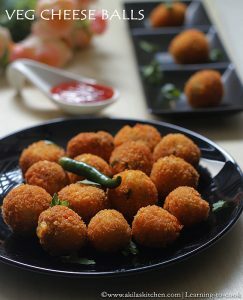 This can also be taken as a side dish for any simple fried rice recipes or for even sambar rice or rasam rice Etc. I too the recipe from here and altered to my family taste. 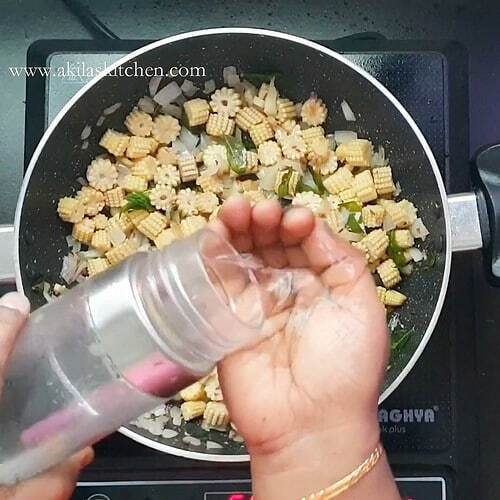 So let’s see how to prepare the baby corn pepper fry recipe. 1. In a pan add fennel seeds and pepper and dry fry them nicely. Do not over fry and make it black. 2. Once it is fully fried, then transfer to a food processor and powder them. Keep it aside. 3. 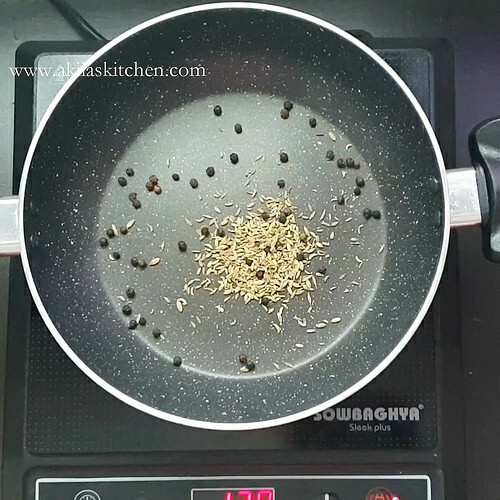 In the same pan add 3 tbsp of oil and once it is hot add the cumin seeds.Also add the curry leaves and fry them for a minute or two. 4. 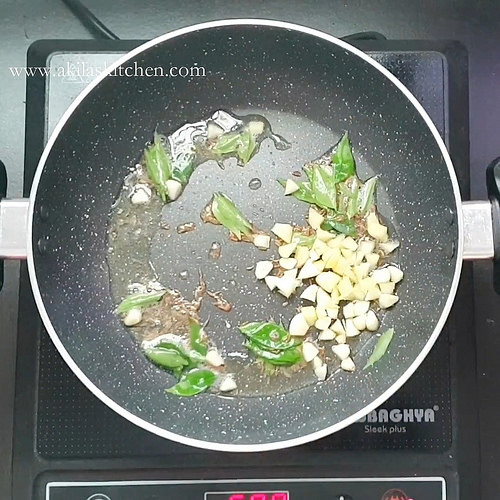 Now add the finely chopped garlic for and again fry for a while. 5. Add the medium size onions and saute nicely it becomes translucent. 6. 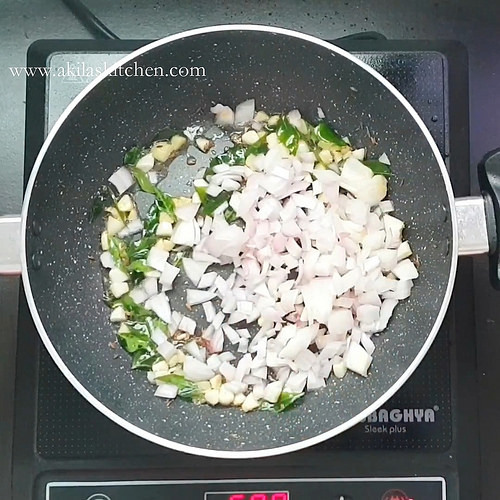 Once the onions are saute nicely add the chopped babycorn and required salt and start frying it. 7. Add little water and cook baby corn. Add water now and then inorder for the babycorn to get cooked nicely. 8. 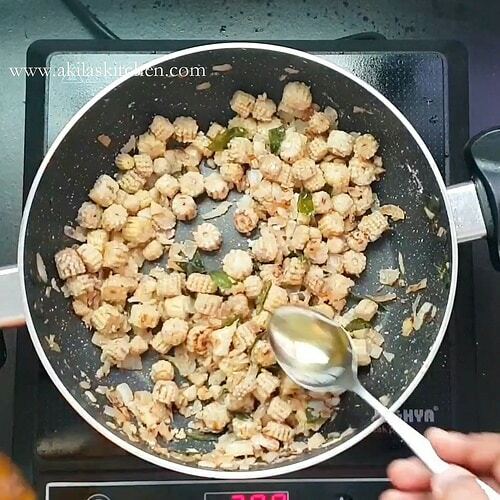 Add the rice flour and fry them again to get a crunchier and crispier baby corn. 9. Add the remaining oil and give a stir. Adjust the salt if needed. 10. Add the ground powder now and give a stir again. 11. Serve the hot hot peppery flavoured baby corn. 12. 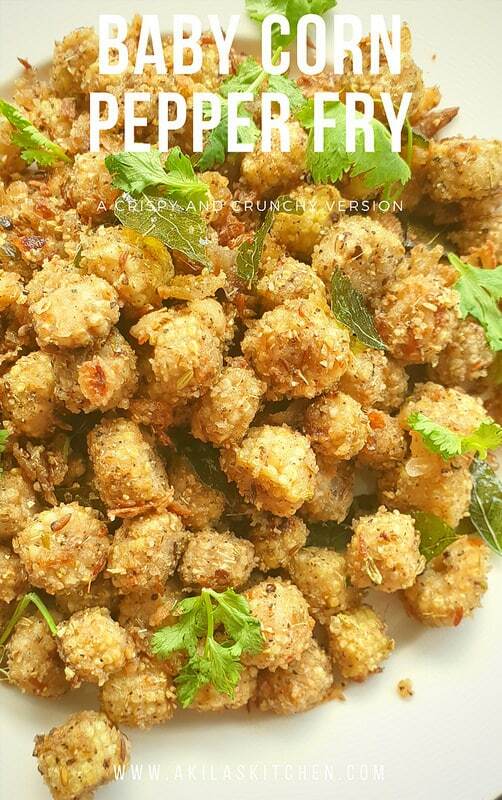 Crispy baby corn pepper fry is ready. 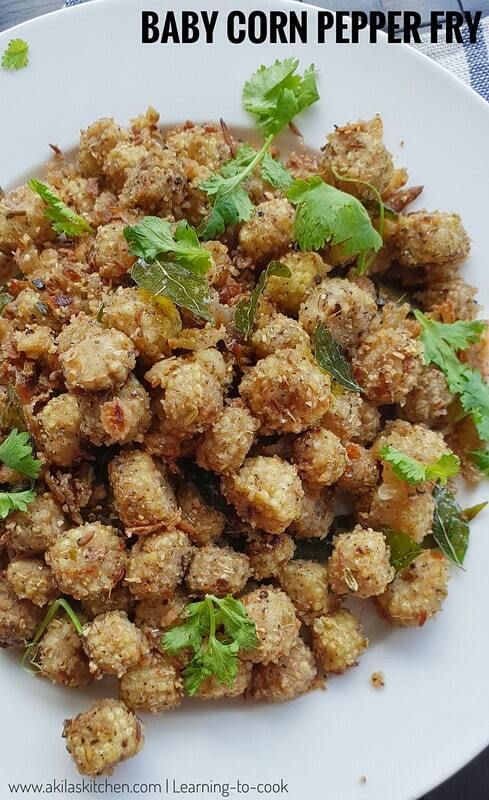 Baby corn Pepper fry recipe is a little bit spicier than the other baby corn recipes, the peppery flavor of the baby corn makes this recipe more tastier. 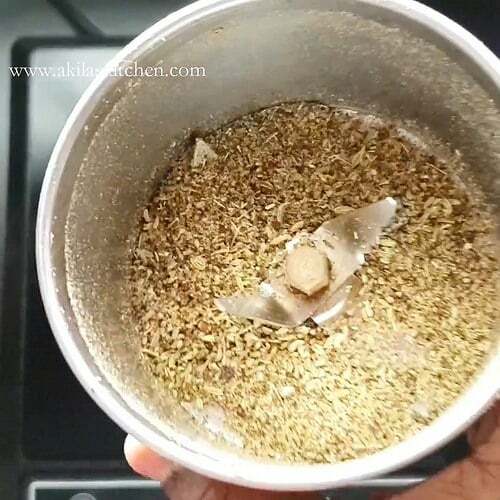 In a pan add fennel seeds and pepper and dry fry them nicely. Do not over fry and make it black. Once it is fully fried, then transfer to a food processor and powder them. Keep it aside. In the same pan add 3 tbsp of oil and once it is hot add the cumin seeds. 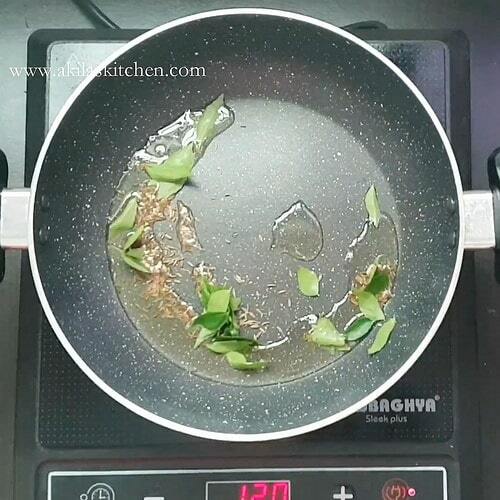 Also add the curry leaves and fry them for a minute or two. Now add the finely chopped garlic and again fry for a while. Add the medium size onions and saute nicely it becomes translucent. 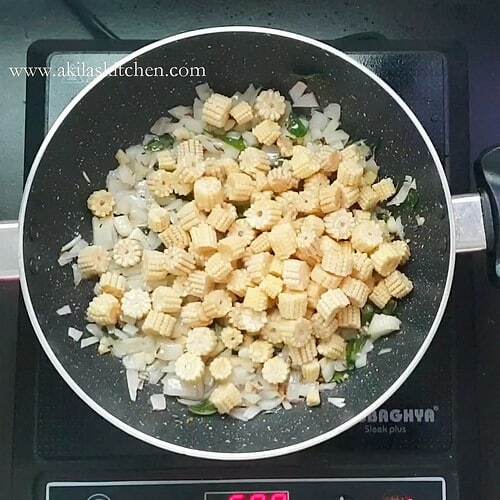 Once the onions are saute nicely add the chopped babycorn and required salt and start frying it. Add little water and cook baby corn. Add water now and then inorder for the babycorn to get cooked nicely. 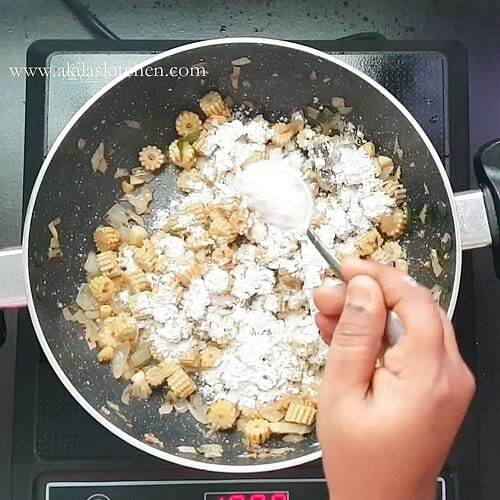 Add the rice flour and fry them again to get a crunchier and crispier baby corn. Add the ground powder now and give a stir again. Add the remaining oil and give a stir. Adjust the salt if needed. Serve the hot hot peppery flavoured baby corn. 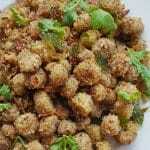 Crispy baby corn pepper fry is ready. 1. You can also add capsicum after the baby corn is cooked. 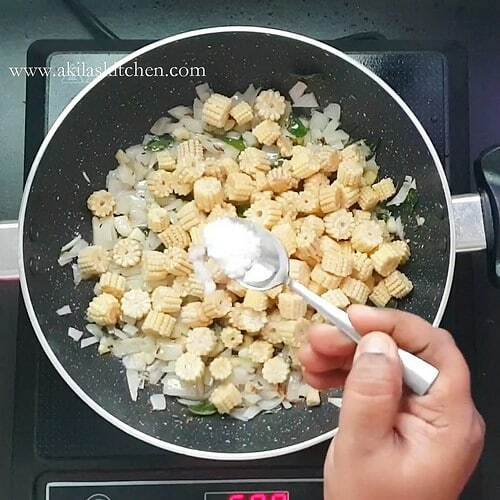 If you add before and cook along with babycorn the capsicum becomes mushy and you wont get the crunchy taste. 2. Instead if adding the rice flour you Can add corn flour also.